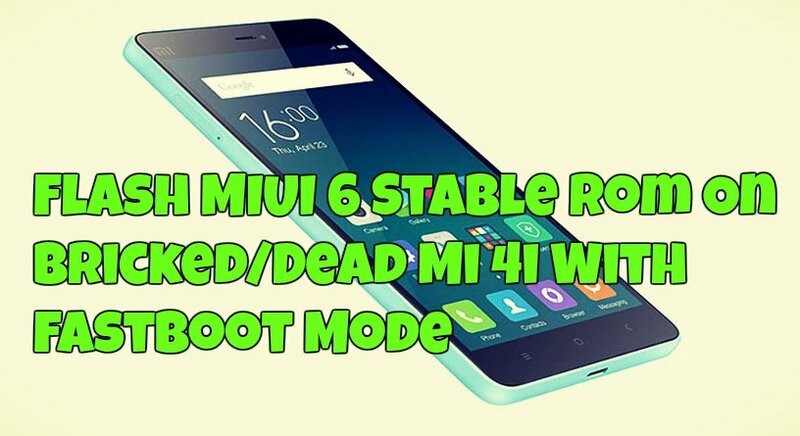 Here in this guide we’ll show you how to flash MIUI 6 Stable ROM on Dead or bricked Xiaomi Mi 4i phoone with the help of fastboot mode. If you are the Mi 4i user and if you are facing some problem with your phone like soft bricked, bricked or dead, with this guide you can easily flash the stable ROM on your phone and fix the problem. Here I will be guiding you with the FastBoot ROM with step-by-step instructions. This guide is only for the Mi 4i users and don’t try this method on nay of other Xiaomi devices. Read all the instructions very carefully and follow them step by step on your phone. b) Keep your device at least 50% charged. c) Follow the given below instructions carefully. – MIUI 6 FastBoot ROM From Mi 4i here and Extract the folder on the desktop. 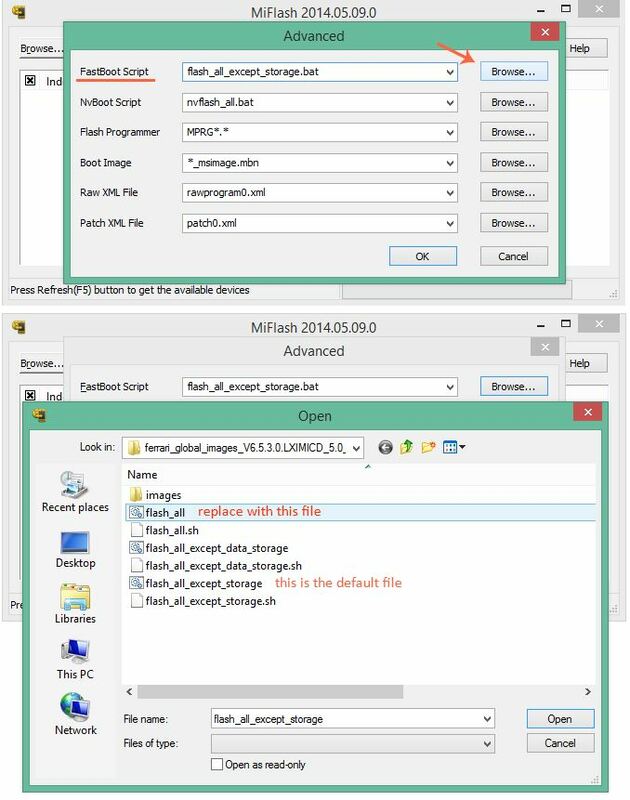 – For FastBoot ROM to flash we will be need MiFlash Tool application, Download here. – Adb File to Flash the ROM on your Phone, Download ADB File form here . And extract the folder on your Desktop and run the exe file. Step 2. Now turn off you phone and run the MI Flash Tool on your desktop. Step 4. In the MI Flash Tool, Click on the Advanced button. Step 6. Now bott your phone is fastboot mode, to do this press together Volume down key and Power button. Step 7. Now coonect your Mi4i to the PC with a USB cable. Step 8. 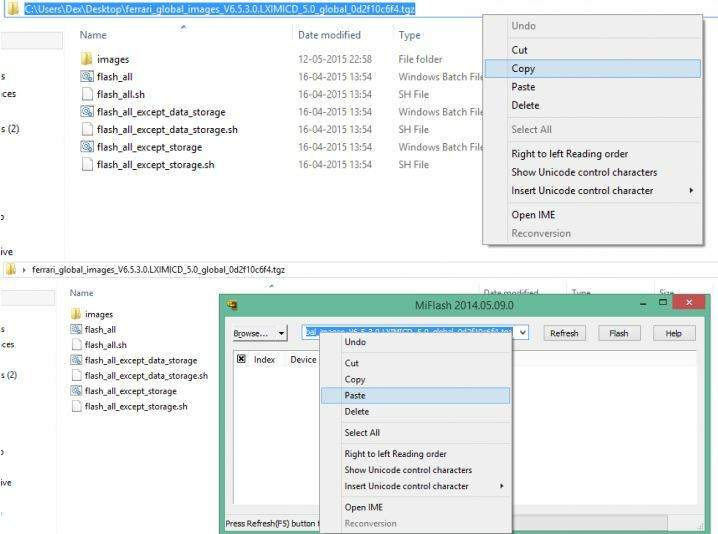 Click on Refresh option on the MiFlash Tool, it will show the connected device. Step 9. Now the final step, Click on the Flash option and wait for Green bar to finish the flashing process. After it’s done your device will restart and you can disconnect MI4i from the PC. That’s it! Now the MIUI 6 Stable is installed on your Xiaomi Mi 4i Android phone. Nice guide to unbrick MI4i.Almost lost my phone after firmware official update, due to persistent boot loop at MI Logo.This guide saved my phone. i have already tried enormous times. I cant find my device in the list..